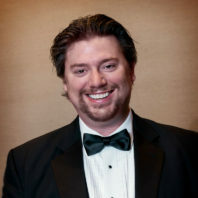 Dean Luethi, an associate professor with the WSU School of Music, has been asked by the National Association for Music Educators (NAFME) to produce four levels of choral conducting instruction to be offered via online videos so choral conductors in India can earn a mini-credential by the Western Music Educators Association (WMEA) in music instruction. The NAFME began the WMEA in India three years ago to help music teachers by offering resources which will prepare them for the classroom. The videos will be available to all members of WMEA and will also be available to members of NAFME who sign up for the subscription-based “NAFME Academy.” The first six videos can also be found on the School of Music’s new “Music Education Virtual Classroom,” which can be accessed here. Over the course of the next year, Luethi will have recorded and distributed more than 20 videos to be used for WMEA and he said he looks forward to making his first trip this summer to work with choral conductors in India. Luethi is the incoming director of the School of Music.